The FUEL Meal Prep Bag comes with triple-layer insulating thermal polyester with high density EVA foam to keep your food cold all day long. Comes with 4 meal containers – dishwasher safe, microwave safe and BPA-free and fit up to 2 bottles/shakers in cooled comfort. Testimonial Review Courtesy of Taylor C.
The kingkong meal prep bag is nothing short of perfection. I have been using the beautifully crafted teal bag and haven’t looked back. Every aspect of the design has been crafted with care. It comes with 4 bpa free, microwave, and dishwasher safe containers. They are very durable container an aspect that is evident from the first time you use them. The containers snap closed and have a rubber lining that seals them shut. It also comes with two sturdy, long lasting ice packs that slide easily into the netted pockets built for them. On too the actual bag: The material is military grade construction with heavy-duty zippers and clasps. 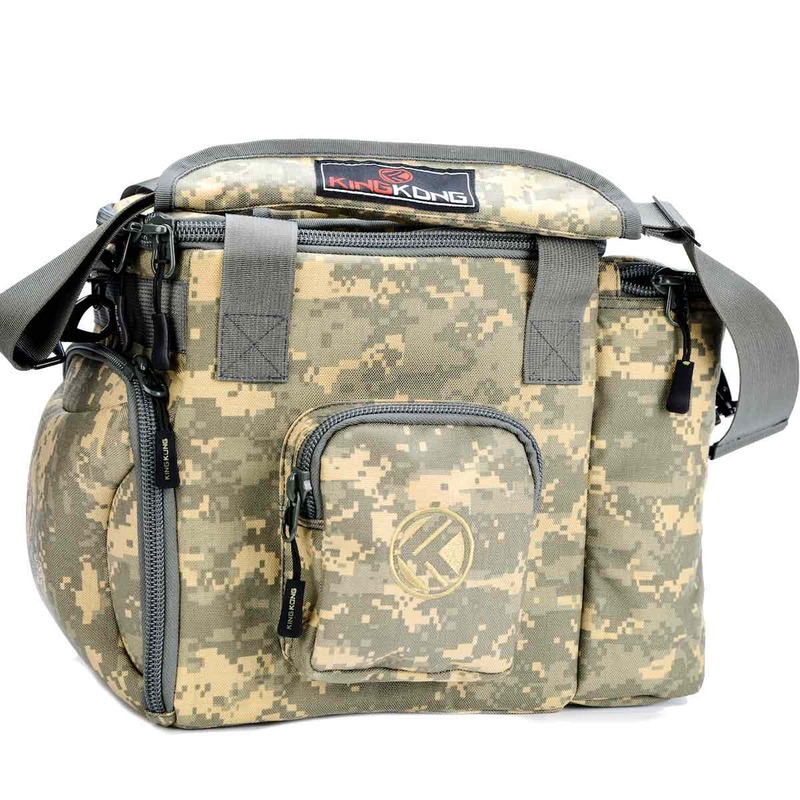 If you are looking for a long lasting durable bag this one is worth every penny. The performance of the insulation of this bag is impressive. When I am not working out I take this bag to work where it keeps my food cold and fresh for 7hrs. It may extend past this time but I have not tested the limits yet. 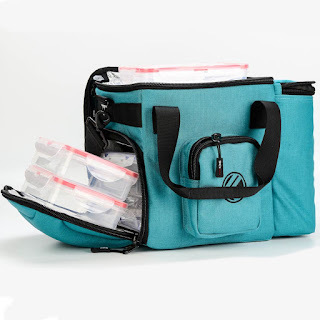 This bag has 3 major compartments and a minor pocket to quick stash things like keys. The top compartment is perfect for one meal container and ice packs. 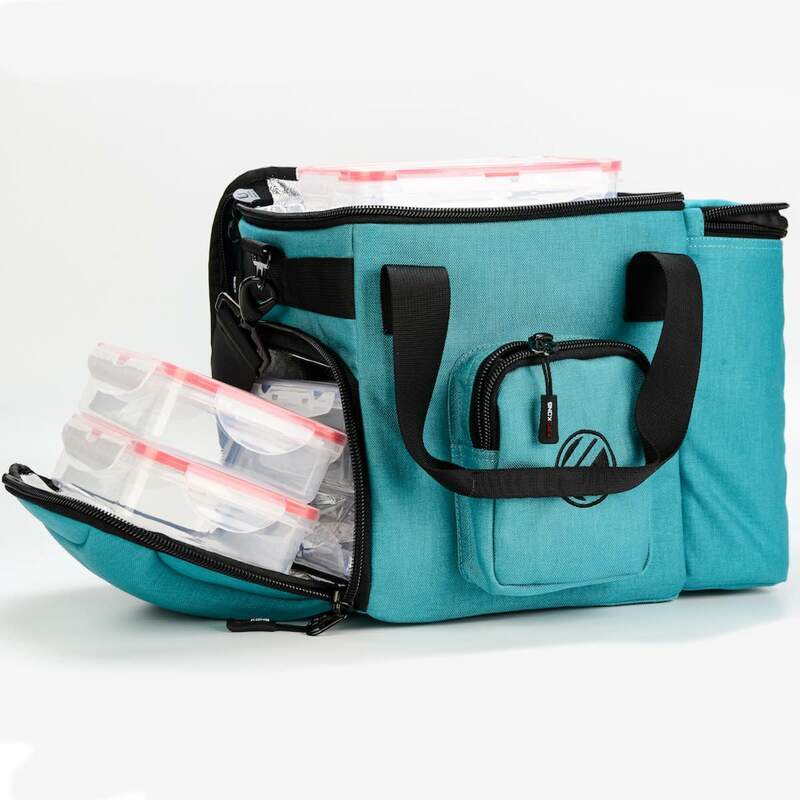 The bottom fits 3 meal containers and the ice packs; lastly the side pocket fits 2 shaker bottles. All have the high quality insulation. If I am only using one meal that day I use the main compartment for hauling extras such as my planner and typical purse items. On the outside of the bag is a strap to so the bag has the capability to slide on a suitcase handle for easy travel.